I have only just cracked into this brow mousse and from the first time I used it I absolutely loved it! This has a much larger wand (when compared to Gimme Brow) and is basically mascara for your brows. This has a heck load of pigment to it and it really works well to add more colour to the brows, whilst also setting them in place, with a waterproof and long-wearing formula. I find this formula grabs onto each individual brow hair so it aids in making them look thicker and more natural. There are nine different shades as well, a lot more than the Benefit and Maybelline options, and hopefully something to work for everyone. I've harped on about this plenty of times before, and it was part of the new drop of products from Maybelline in July, and it is pretty darn good. The wand on this one is very unusual looking, and is causing people to either love it or hate it (I've even seen people cutting the ball part off and using the slimmer part of the wand). I personally like it, you get good control when using it and it helps to keep the product on the brow hairs rather than on the skin (which can happen with the blinc one especially). This doesn't have as much colour pigment to it like the blinc offering, but once your brows are filled in with your choice of pencil, gel, pomade etc, running this through in quick swipes will set the hairs without making them feel hard and chunky, and give more definition to your existing hairs. 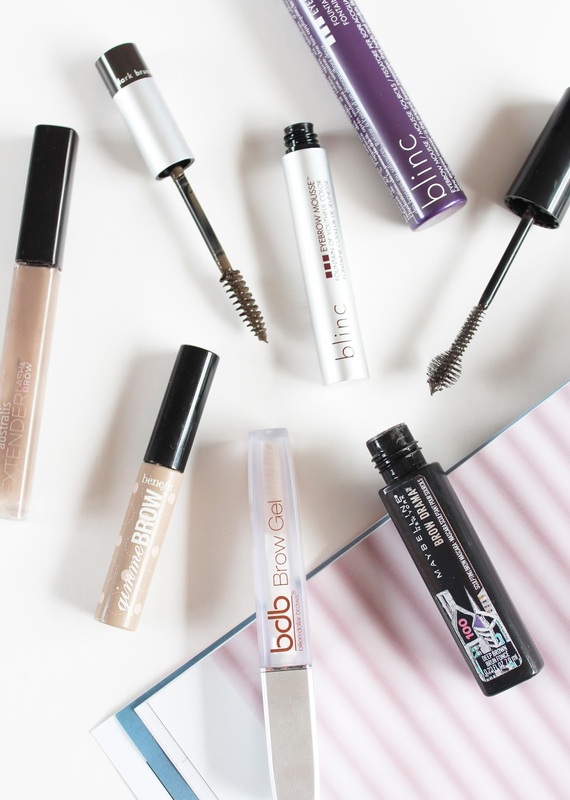 On a regular basis I do tend to reach for tinted brow gels, but there is time when I just want a quick fix and a clear brow gel (or simply, a clear mascara) does the job perfectly. If you already have quite naturally full brows (I envy you) then a clear one is probably all you need to keep any unruly hairs in place. This one from Australis was once clear (I know it looks pretty disgusting here), but it does a good job at setting the hairs in place and it doesn't feel to crusty or look to obvious in the brows. 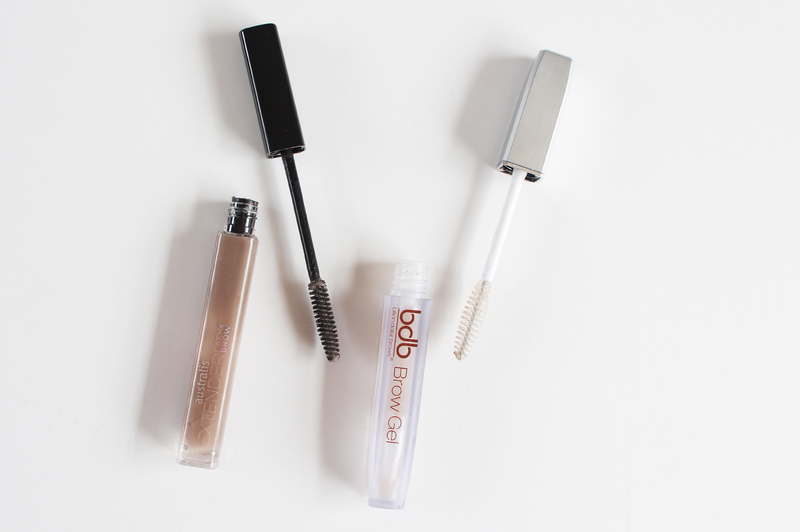 If you really want to splash out on a clear brow gel, I definitely suggest BDB. Although I don't think you need to spend this much on a clear brow gel, it is rather nice and it doesn't feel at all stiff, thick or crusty once set down. I got this as part of a Best Sellers kit and it's really good value for money buying it this way. 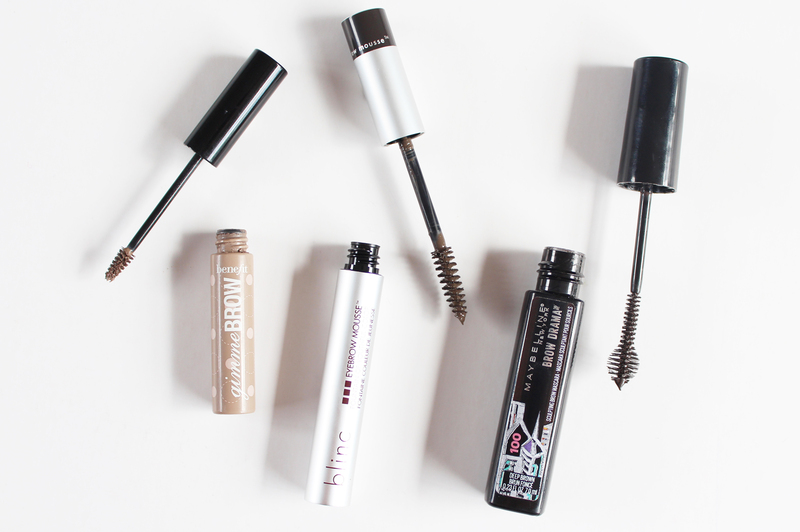 What is your favourite brow gel? Have you used any of my Top 5?